Worked alongside Black Sun Entertainment to create a science fiction, action adventure, short film as a proof of concept for a larger full-length motion picture. Envoy is a passion-project created by director David Weinstein and VFX supervisor Adam Coggin. My role in this film was Lead CG Modeler. 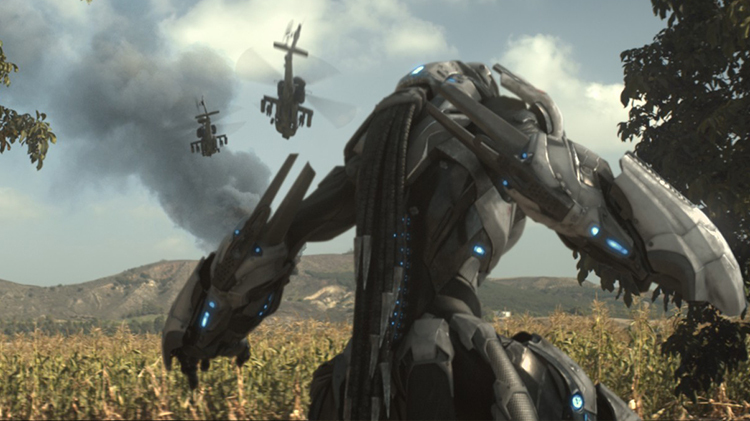 I was tasked with creating the production ready 3D model of the alien robotic creature and helicopters in the film. Tasks: Modeling. Software: Maya.